If you don’t live near Detroit, you may have missed a remarkable change. While in the past the Detroit 3 automakers–General Motors, Ford and Chrysler–didn’t take input from outsiders (even while their historic corporations were sliding into the abyss) now they are looking everywhere for ideas to move the automotive industry into a green future as quickly as possible. 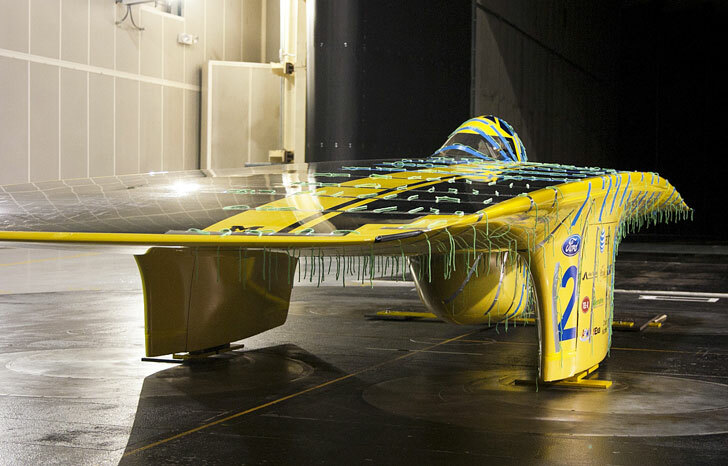 As an example of this, GM, Ford and Chrysler are all working closely with engineering students from the University of Michigan Solar Car Team to create viable green cars for the future. The companies offered the students manufactured parts, access to their secretive testing grounds, and other assistance recently in turn for allowing them to witness the breakthroughs discovered in the process of building the Quantum solar car, which finished third in the Veolia World Solar Challenge last week in Adelaide, Australia. If you don't live near Detroit, you may have missed a remarkable change. While in the past the Detroit 3 automakers--General Motors, Ford and Chrysler--didn't take input from outsiders (even while their historic corporations were sliding into the abyss) now they are looking everywhere for ideas to move the automotive industry into a green future as quickly as possible. 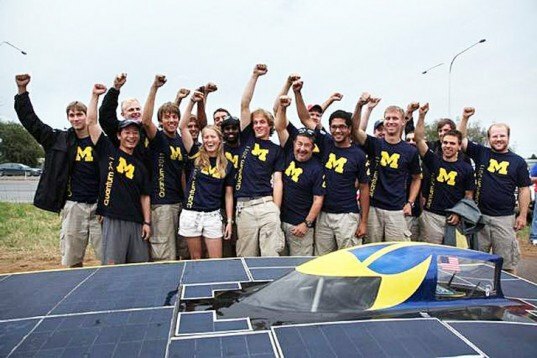 As an example of this, GM, Ford and Chrysler are all working closely with engineering students from the University of Michigan Solar Car Team to create viable green cars for the future. The companies offered the students manufactured parts, access to their secretive testing grounds, and other assistance recently in turn for allowing them to witness the breakthroughs discovered in the process of building the Quantum solar car, which finished third in the Veolia World Solar Challenge last week in Adelaide, Australia.